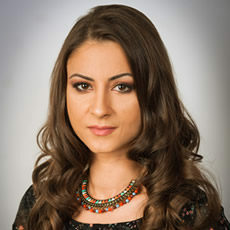 Ms. Monia Dobrescu is particularly qualified in Banking & Finance, her expertise spanning all aspects of general finance and banking law, contractual relationships, syndicated loans and compliance, with special focus on project finance transactions. She assisted major international players and leading financial groups in relation to various loan restructuring projects, financing and refinancing schemes, project and asset financing and securitization. Monia also achieved substantial experience in Real Estate & Construction, having been involved in a large number of high-profile real estate projects and acting for landlords, tenants, lenders, developers, main contractors and various consultants. She advised on a broad range of legal issues, including FIDIC, regulatory matters and authorizations, private equity funds, property portfolio restructuring, as well as real estate securities and was involved in all stages of the transactions, from due diligence investigations to post-closing matters. Her experience spans on corporate and commercial matters, ranging from special corporate vehicles to corporate liability, shareholding and share capital issues, spin-off procedures and an extremely wide range of commercial agreements and legal matters. 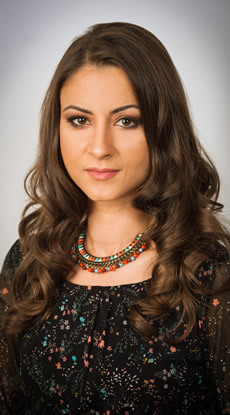 During her experience of 17 years with Musat & Asociatii, Monia has also achieved an extensive experience in the area of Employment & Employee Benefits, advising a large portfolio of clients (most of them multinational corporations) or various Labor & Employment matters. Retained by a leading European financial institution to provide assistance during the USD 200,000,000 financing granted to one of the subsidiaries of the largest oil and gas producer in South Eastern Europe, secured by various guarantees and collaterals granted by the company and two of its Romanian subsidiaries. Acting for leading Switzerland-based holding company engaged in private banking, investment banking and asset management areas, as well as a European financial leading Group in banking services in connection with the senior amortizing term loan facility granted to a privately owned international grain and fertilizer trader, amounting to CHF 200,000,000, for the indirect partial financing of some promissory notes and for refinancing the bridge loan facility granted in 2013 for the latter’s indirect acquisition of Azomures, a Romanian giant corporation in the field of fertilizers. A leading Spanish savings bank in connection with the structuring of various multi–million project finance deals via its banking branch network established in Romania. The investment division on Romanian commercial bank in relation to various real estate residential and mixed–use schemes developments in Romania exceeding EUR 250,000,000. A leading Spanish real estate developer in connection with various land acquisitions in Bucharest and Cluj and development of residential compounds with a project investment value in excess of EUR 200,000,000. An European leader in banking and financial services in relation to various financing and related collateralization (amounting over USD 600,000,000) for supporting the business operations of several oil trading companies. The subsidiary of a leading Dutch based bank in relation to financing of major oil trading companies for a total amount exceeding USD 150,000,000 and correspondent security package falling under Romanian law. A leading European bank in connection with credit securitization falling under Romanian law, with a total amount in excess of 75,000,000 USD. A real estate investment fund with respect to a EUR 100,000,000 syndicated loan facility for the financing of the acquisition of industrial outlets in Romania. A leading European financing groups in relation to various multimillion real estate projects finance, including the enforcement and realization of security interests. A Spanish construction company,with respect to the development of four major infrastructure projects with a total value of approx. EUR 50,000,000. A leading Finnish forest management group, with respect to its acquisitions of various forest lands in Romania, with a total amount of over EUR 40,000,000. A leading company focused on owning, operating and developing shopping centers in Central and Eastern Europe, in real estate issues linked to the dispute between Atrium and the Austrian lender Meinl Bank. A real estate investment fund on the acquisition of a large industrial project. One of the largest funds in Europe in connection with various private acquisitions in Romania, with a value in excess of EUR 100,000,000. One of the leading listed property companies in Europe with regard to various real estate projects refinancing in excess of EUR 44,000,000 made available by a leading Austrian bank in relation to certain projects developed by the client in Bucharest. An UK based real estate investor in relation to a EUR 40,000,000 syndicated term loan facility made available by two European commercial banks for the development of a retail & commercial park within Vitandis Shopping Centre Bucharest. A leading financial services company with respect to facility loans granted to the German company, Bäumler AG, secured by inventory held in Romania. One of the major Austrian private banks with regard to EUR 12,000,000 term loan facility granted in view of the refinance of the acquisition, renovation and refurbishment of an office building located in Bucharest. The shareholder of the developer of one of the largest logistic centers in the country for land acquisitions matters and conclusion of title insurance. A major local real estate developer in relation to restructuring of the lease agreements concluded for their shopping centers in Bucharest. One of the main investors in the Romanian retail market holding an impressive portfolio of retail parks and shopping centers in the main secondary cities, in relation to various issues concerning retail and commercial mixed use scheme projects developed on the local market.